The title is for the most part misleading, what I am wanting to discuss with you is more along the lines of how their tales are similar.Every great tale is one of conflict involving a great good vs. a great evil and at the start of the tale things look pretty bad for great good.It is the same with these two Epic tales.They both involve in the end voyages of discovery for a way to defeat the evil they confront,for LOTR it is to attempt to destroy the ring of power that Sauron placed his powers in, for HP it is a voyage to destroy the Horcruxes that Voldemort placed his pieces of soul(powers)in and they of course are both known by the moniker "Dark Lord". Evidently there are no Light Lords either available or absent. The questers are for the most part separated from any possible help(Frodo and Sam, Harry,Ron and Hermione) and have to make the hard decisions and seek for the ever elusive truths that will guide them in their attempt to bring the quest to a successful conclusion.The great evil must be greatly evil indeed and therefor heartless and cruel and they are surrounded by lesser evil willing to do their bidding(Orcs, Deatheaters).Their mentors are both elderly Wizards who both die but return in one form or another to guide them, Gandalf is reborn as the White Wizard, Harry meets Professor Dumbeldore in the afterlife for advice explanations and encouragement.They both have to deal with spirits of the undead(the Oathbreakers and the Inferi) and of course there are Spiders(Aragog and Shelob) I truly believe that Professor Tolkien and J.K.Rowling are Arachnaphobes and you can include me in that number as well.There are moments of doubt and indecision during the quests and a moment when all seems lost but in the end great good prevails and great evil is destroyed not because the good are stronger but by the foolish decisions made by evil, they in effect sew the seeds of their own destruction through their desires, Sauron to make himself Lord and master of all and Voldemort for the same reason coupled with a desire for immortality. There are other parallels and I could go into them but I believe these are the main points, again if you have any comments or criticisms or wish to point out errors please feel free to do so,I would love to hear them. Of all the evil creatures in MiddleEarth the most feared were the Balrogs. They were "Demons of Might" the name of the demons of fire who served Morgoth.The Quenta Silmarillion states that they were of the Maiar a form of lesser God,it is stated that"Dreadful among these spirits(Maiar) were the Valaraukar, the scourges of fire that in MiddleEarth were called Balrogs." They were cloake in darkness,and terror went before them; they had whips of flame.The greatest of the Balrogs was known as Gothmog.In the Silmarillion it tells of how Morgoth alligned himself with the great spider queen,Ungoliant,and with her aid was able to steal the Silmarils from the Lords of the West,but Ungoliant turned on Morgoth and would have done him great harm so Morgoth summoned his Balrogs to fight her and they alone were able to defeat her.In the end most of the Balrogs were destroyed when the Valar assaulted Angband(Morgoths sanctuary) defeating his armies and capturing him they laid him in irons and cast him out into the vois from whence he could not return, the few Balrogs left fled and hid themselves in caverns inaccessible at the roots of the world. In the LOrd of the Rings it speaks of Durins bane.The dwarves in their greed delved too deep in the earth and awoke a Balrog who slew many of them and King Durin himself, it is this Balrog that Gandalf fought in Moria and finally defeated him though the Balrog also killed Gandalf, but he was given life again so that he could finish his task in MiddleEarth. 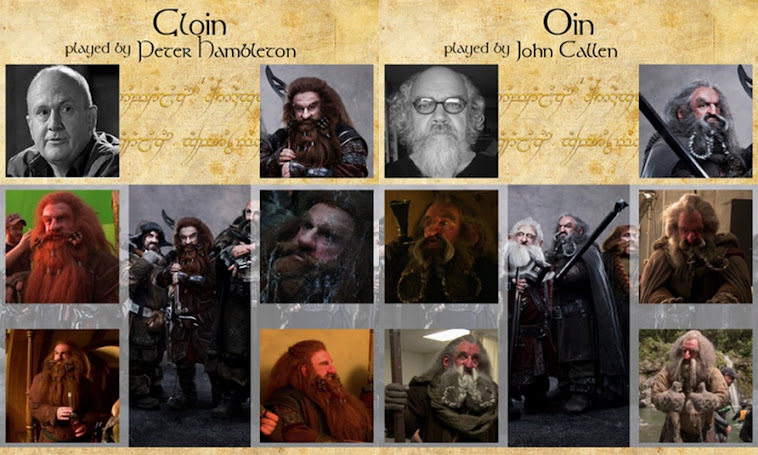 Who were the Wizards of Middle Earth and where did they come from? The Wizards(also called Istari) first appeared in Middle Earth at the end of the Second Age after the defeat of Sauron at the battle of Battle Plains(Dagorlad).They were sent by the Valar(the Gods of Middle Earth) to contest the power of Sauron ,if he was to ever rise again, and to move Elves and men and all living things of good will to valiant deeds.They possessed great wisdom and many powers of mind and hand. 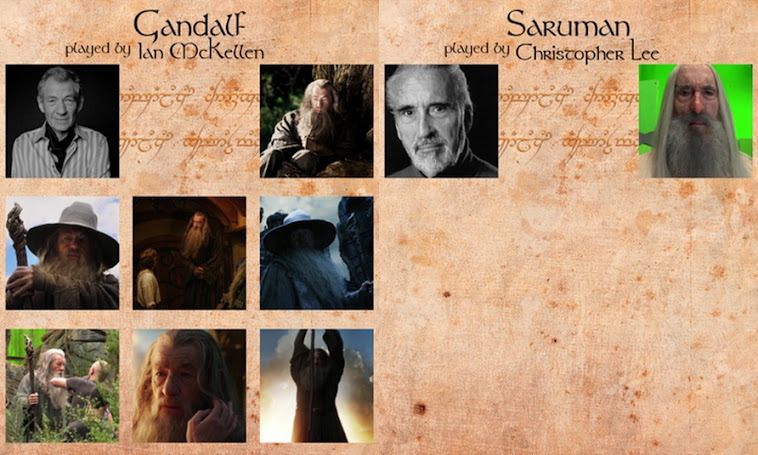 Chief among them were the Wizards Elfs called Mithrandir and Curinir and men called Gandalf and Saruman., of these was Saruman who was the eldest and came first.Also there was Radagast and others whose names we never learned.The White council that fought the returning Sauron had the two Wizards in their number and with there help drove off Sauron who was not totally defeated but retreated to his stronghold of old in Mordor and there plotted open war on MiddleEarth..The Wizards were Maia(lesser Gods as was Sauron)) and were therefore eternal, how old they truly were is not known(but Gandalf mentions his having walked MiddleEarth for 400 ages of men which would put him at around 28,000) but were definitely ancient.What powers did they have?It mostly seemed to be a control of elemental forces.Gandalf helping in the flood before Rivendell,creating fire and light with his Staff and these efforts seemed to exhaust them as if it were a great burden to perform them,Gandalf complained after using magic in Moria that it had tired him greatly.So they had limits, they were not allowed to fight Sauron one-on-one but could only rouse and support others in their fight,and in the end that was only Gandalf. Inthe Fourth age they returned overseas to the undying lands as there task in MiddleEarth was complete.What of Sauraman who had his throat cut by Wormtongue, In the Lord of the Rings it says"About the body of Saruman a grey mist gathered,and rising to a great height like smoke from a fire,as a pale shrouded figure it loomed over the hill.For a moment it wavered and looked to the West,but out of the West came a cold wind,and it bent away,and then dissolved into nothingness.Was the spirit looking to the Lords of the West(the Valar) for permission to return to Arda,the undying lands,and was this permission refused by the Valar who let his spirit go into the abyss? 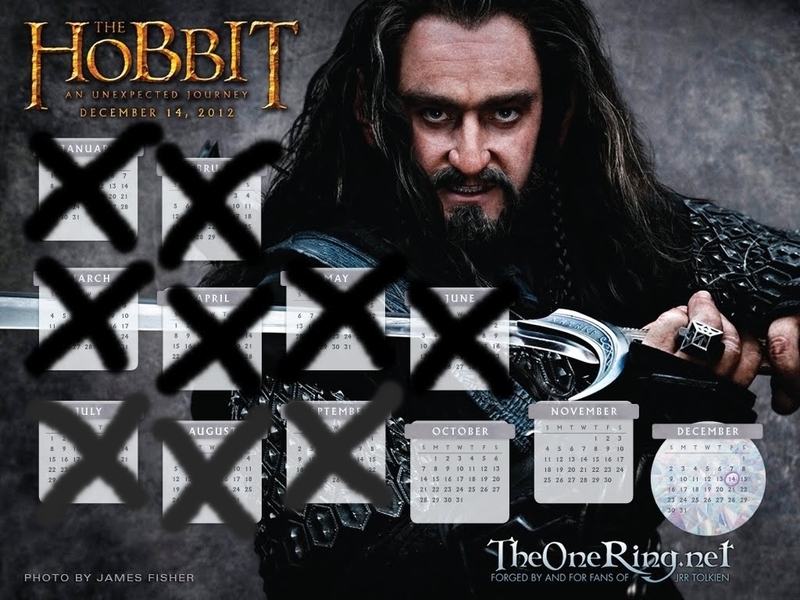 it is hard to say , you have to draw your own conclusions, but he had defintiely failed in his mission in MiddleEarth and was in my humble opinion punished cruelly for his betrayal of trust. Who or what was Sauron, the great enemy of the tale of "The Lord Of The Rings".Tolkien tells us that Eru whom the Elves called Iluvatar created Middle Earth and then created beings called the Valar who were essentially Gods in their own right but all servants to Eru and did his bidding,some came to Middle Earth and created the Blessed Realm where they lived and worked to carry out the designs of Eru.There were lesser Gods that served the Valar. In the Quenta Silmarillion it states"With the Valar came other spirits whose being also began before the world, of the same order as the Valar but of less degree.These are the Maiar,the people of the Valar,and there servants and helpers".The two greatest of the Valar were Manwe and Melkor, of the two Melkor fell into evil.Among those that were his servants the greatest was that spirit that the Valar called Sauron, or Gorthaur the Cruel. 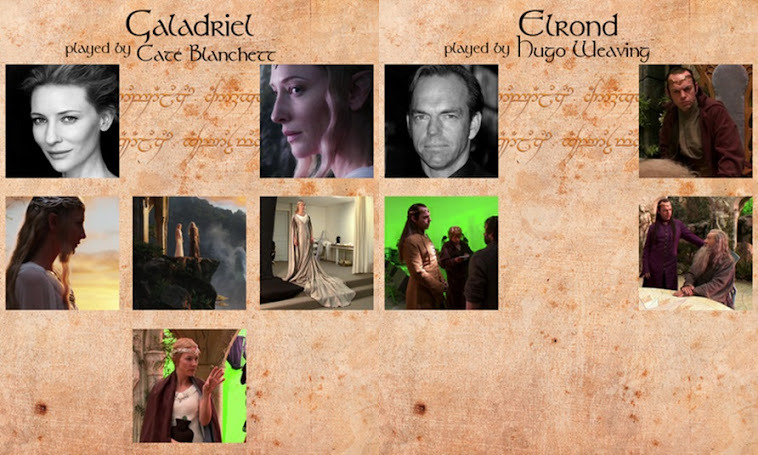 In his beginning he was of the Maiar of the one the Valar named Aule. It says that he was only less evil than Melkor in that for long he served another and not himself. but in after years,when Melkor had been overthrown by the Valar, Sauron rose like a shadow of Melkor and walked behind him on the same ruinous path down into the void.So, what we know of Sauron was that he was a lesser God,but a God nevertheless, and so could not die as mortal men and Elfs do.The question arises that if when Frodo destroyed the Great ring was Sauron then destroyed utterly and completely, I think not.I believe that his spirit was not destroyed but that he could no longer take any shape of being and could not therefore communicate with any being of MiddleEarth, that is he could no longer command by his physical presence as he no longer had shape or voice, he had been unmade.Was he foolish to have placed so much of his powers into an animate object like the one ring and therefore open himself to possible destruction, my goodness yes of course he did.He was,as they say, hoisted upon his own petard.Why was he not destroyed when the one ring was cut from his hand,because the ring still existed and over time( four thousand years) he was able to reanimate himself all be it not wholly,for that he needed to reclaim the ring to once again give him a physical body.So in the end,like all great evil,Sauron made mistakes,proving that even a God when overcome with greed and evil can make decisions that will lead to their doom.These are of course my own view of things.If you feel I am wrong then please feel free to make a comment,I would love to hear them. What were the rings of power and what were their powers? During the Second age Sauron, who was still able to disguise himself in a fair form, set about to ensnare the Elves. He shared parts of his great magical knowledge with them, and one that he shared was his ability to forge rings of power. The Elves using this knowledge created what were known as the lesser rings though they still possessed great magical powers,Sauron knew of their making and secretly forged the one great ring that would control all the others, into this ring he poured a greater part of his own powers but upon his forging of the great ring the Elves became aware of his treachery.Sauron then retrieved the lesser rings and gave them to others , nine he gave to the Dwarves, seven he gave to man, and the one ring he of course kept for himself. Unknown to Sauron, an Elf forgemaster had created three rings that Sauron knew nothing of and therefore could not pervert to his own purposes, these rings, which Sauron desired above all others they kept hidden from him. But what were there powers? 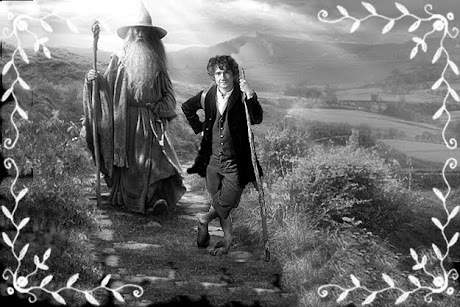 The three that were forged secretly were used to heal the hurts of the world, they evidently had powers that could stop part of the evil that were Saurons but these powers were never adequstely explained by Professor Tolkien.The rings possessed by the Dwarves helped them to obtain great riches, hoe I am not sure. For men the rings granted unnaturally long lives,and the power of invisibility, it was men he found easiest to ensnare, but the great lengthening of years the rings boght proved to be a curse rather than a gift,As the years passed you would come more and more under the power of the great ring until in the end you fell into darkness and ceased to be a man and became instead a slave of the ring, a Ringwraith. 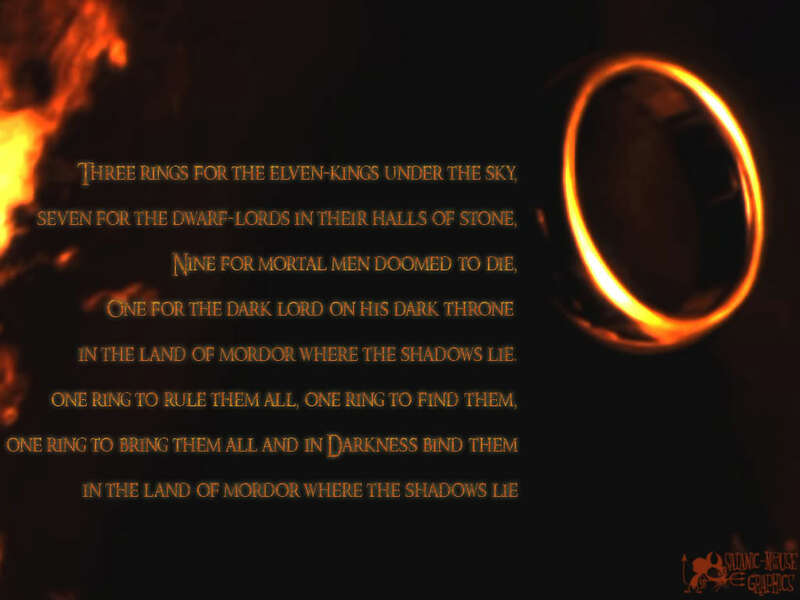 So in the end the rings granted no truly great powers that you didn't in the end have to pay for most dearly.All the truly grat power was bound up in the Great Ring which was in effect Sauron itself.And old saying goes"you can't have your cake and eat it too." This was truly the case with the rings of power. 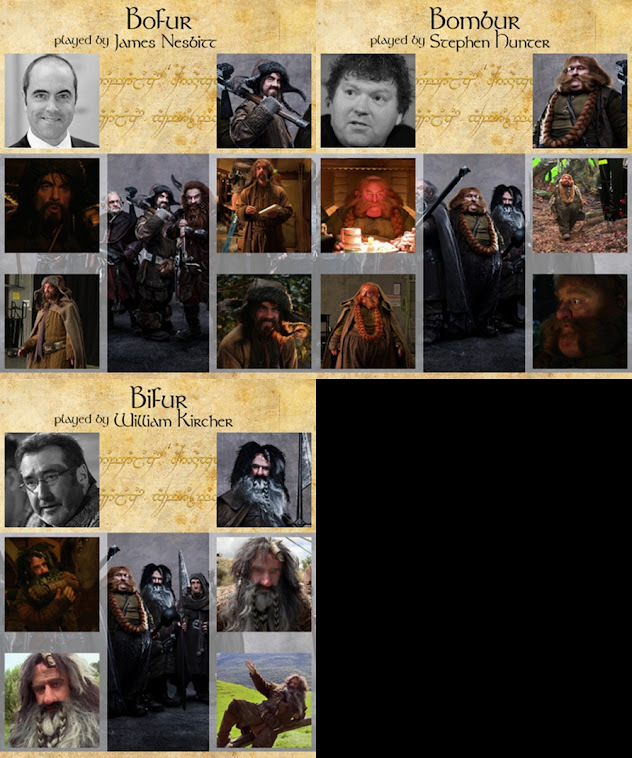 This is the final cast for the movie "The Hobbit" : Bilbo Baggins-Martin Freeman, Gandalf-Sir Ian Mccellan, Old Bilbo-Sir Ian Holm, Saruman-Sir Christopher Lee, Frodo-Elijah Wood,Gollum-Andy Serkis,, Smaug + The Necromancer(Sauron)-Benedict Cumberbatch,The Goblin king-Barry humphreys, Tauriel(An Elfen Warrior)-Evangeline Lilly,Azog-Conan Stevens,Lindir-Bret Mckenzie,,Galadriel-Kate Blanchett,Legolas-Orlando Bloom,Elrond-Hugo Weaving, Thror-Jeffrey Thomas,Thranduil-Lee Pace,Bard The Bowman-Luke Evans,The Master Of Laketown-Stephen Fry,Radagast-Sylvester McCoy. 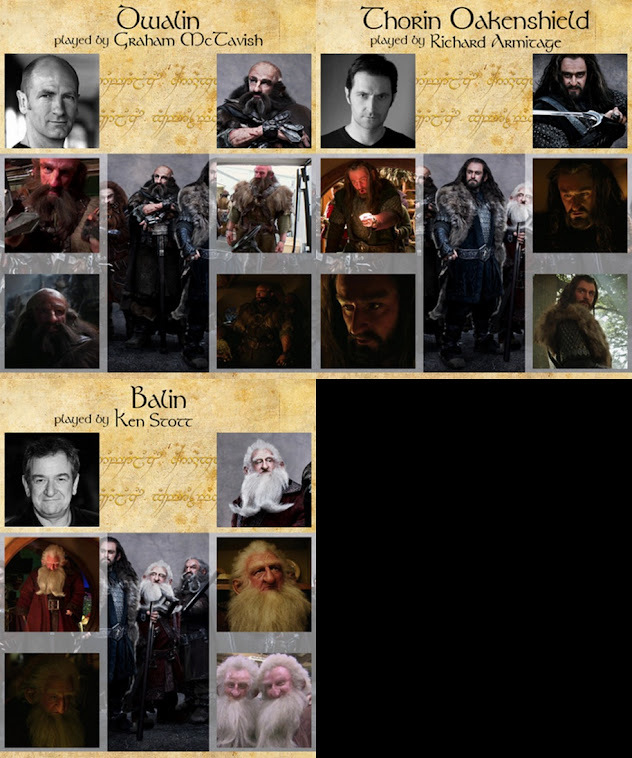 The Dwarfs: (Thorin Oakenshield-Richard Armitage,Dwalin-Graham MacTavish.Balin-KenTott.Fili-Dean O'Gorman,Kili-Aidan Turner,Ori-Adam Brown,Dori-Mark Hadlow,Nori-Jed Brophy,Bifur-William Kircher, Bofur-James Nesbitt, Bombur-Stephen Hunter, Oin-John Callan, Gloin-Peter Hambelton, Thrain-Michael Mizrati,DainIronfoot-Billy Connolly). Beorn-Micahel Persbrandt. 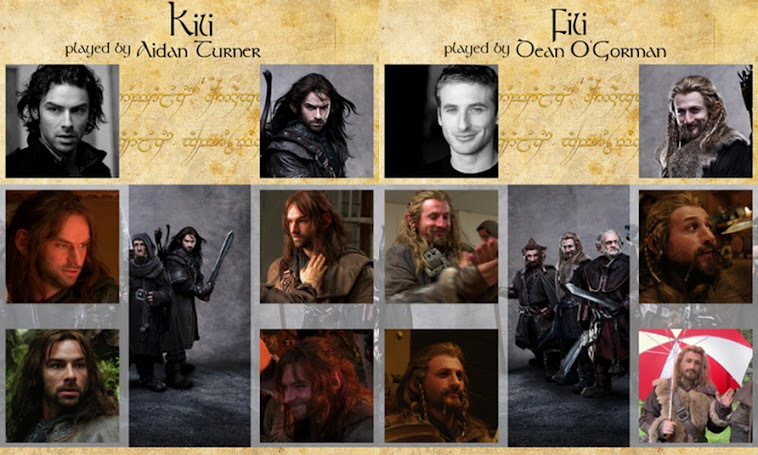 As you can see a fine mixture of the famous, kinda famous, and actors you never heard of, but there were actors picked for roles in the "Lord Of The rings" who are now rightly famous because of their roles in it, so I believe a lot of these unknowns won't be so anonymous after December of this year. Question: What is it with Professor Tolkien and eagles.It seems that evrytime someone in one of his tales has to face a rather hopeless situation , BAM, an eagle or eagles show up to save the day. Case points when in the Hobbit the group are surrounded by wolves eagles show up to save the day, when Gandalf is stranded on top of Sarumans tower who shows up to fly him away, when they are battling in front of Mordors gate who shows up to aid them and then flies off to rescue Frodo and Sam, who else but the eagles. It seems to me he badly overworked this particular rescue scenario. Also, whom did the Eagles represent? America? I'm not sure if that is so but the English at that time were depending on America to see them through WWII. Just a question which maybe has no answer but an interesting one to me, I wonder if anyone else ever pondered this question. Oh well good bye for now and hoping that you get all that you wish for and maybe a little more. 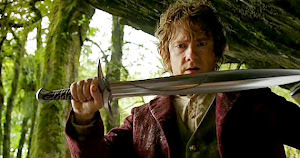 Discussion of "THe Hobbit" official preview video. 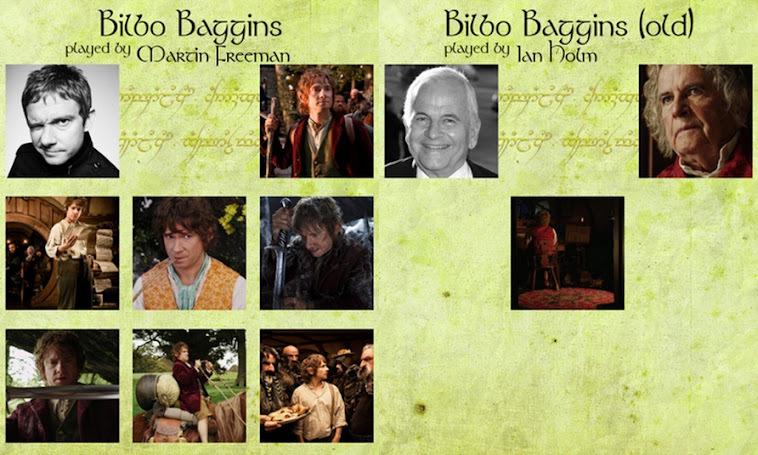 I hope you are as excited by the approach of the "Hobbit" movie in December of this year. 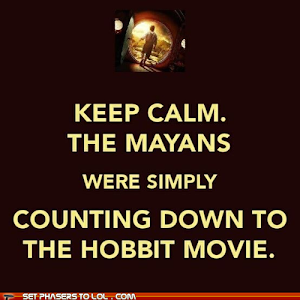 There has been a lot of controversy over the film. A lot of Tolkien purists are upset that there will be things and characters not shown or discussed in the novel. 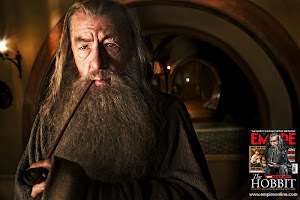 For instance, more focus will be placed on Gandalf and the White Councils fight with Sauron and their attempts to defeat him which was only briefly mentioned in the "Hobbit", but discussed more thoroughly in the appendix at the end of "Lord of the Rings". Also, the addition of certain Characters such as Evangeline Lillys' ( Kate from the "Lost" tv series) lady elf warrior which is definitely not a character ever mentioned by Tolkien. 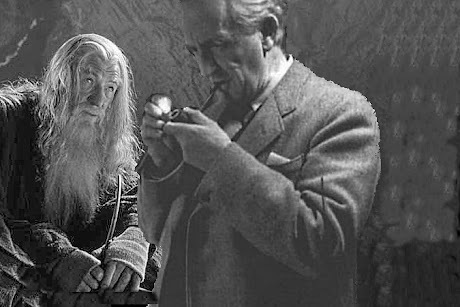 While some may view this as anathema to the concepts of Tolkiens works, I, for one, applaud them as as exciting additions to this classic tale and I can understand the need for Sir Peter Jacksons need to flesh out this tale, he does have to fill up two movies not one. I personally do not view these embellishments as heresy but as extra gifts from the creative team of Sir Peter, his lovley wife and Fran Walsh. 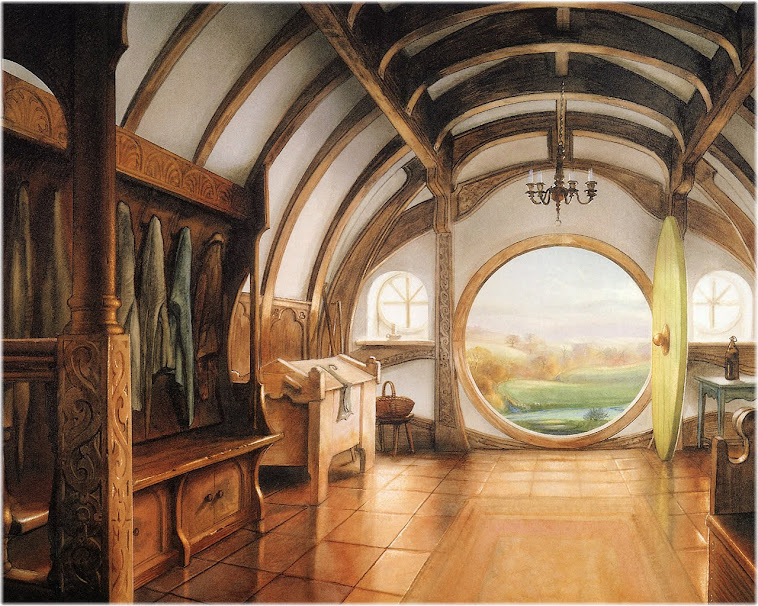 I offer them my most heartfelt thanks for giving this lover of Tolkiens works another chance to visit MiddleEarth. I would just like to add that I think there is a wonderful tale to be brought to film though I doubt it will ever be made. I speak of course of the "Silmarillion". A lot of people say the tale is too long and tells too many tales to ever be adapted to screen, i say focus on the tale of the Silmarills and the curse of the Elves oaths that lead to such heartache and misery. But i digress, let me just say befor I go that I personally cannot wait for Dec. 2012 and Dec. 2013, it's going to be a long wait.